Bedding configuration is 1 queen bed & 1 single bed. Studio style, property located opposite beach, walk to shops, cafes & restaurants. Rates are for 2 people. Extra adult $30.00. Extra child $30.00. The room caters for a maximum of 3 guests. Bedding configuration is 1 queen bed and 1 single bed. Stdio style, property is located opposite the beach, walk to shops, cafes and restaurants. The room caters for a maximum of 3 guests. Bedding configuration is 1 queen. Individual patio with outdoor seating, garden outlook with views over the foreshore parkland, ensuite with corner spa. Property located opposite beach, walk to shops, cafes & restaurants. Rates are for 2 adults and the room caters for maximum of 2 adults only (no children). Deluxe Spa Unit- 2nights minimum. Bedding configuration is 1 queen. Individual patio with outdoor seating, garden view with outlook over the foreshore parklands, ensuite with corner spa. 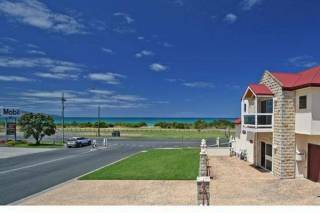 Property located opposite beach, walk to shops, cafes & restaurants. Rates are for 2 adults and the room caters for maximum of 2 adults only (no children). Bedding configuration is 1 queen bed. Individual patio with outdoor seating, garden view with outlook over the foreshore parklands, en-suite with corner spa. Property located opposite the beach, walk to shops, cafes and restaurants. Rates are for 2 adults and the room caters for a maximum of 2 adults only (no children). Bedding configuration is 1 queen. Individual balcony with outdoor seating, stunning ocean views, en-suite with corner spa. 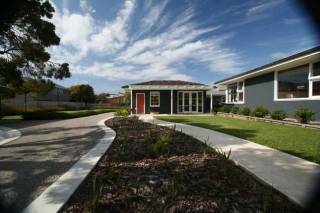 Property located opposite beach, walk to shops, cafes & restaurants. Rates are for 2 adults and the room caters for maximum of 2 adults only (no children). Bedding configuration is 1 queen & 2 single beds. Ground floor, self-contained, 2 bedroom apartment. Property located opposite beach, walk to shops, cafes & restaurants. Rates are for 4 people. The apartment caters for a maximum of 4 adults, and a maximum of 2 children but cannot exceed 4 guests in total. Bedding configuration is 1 queen and 2 single beds. Ground floor, self-contained; two bed room apartment. Property located opposite the beach, walk to shops, cafes and restaurants. Rates are for 4 people. The apartment caters for a maximum of 4 adults or a maximum of 2 children and 2 adults but cannot exceed 4 guests in total. Two bedroom; bedding configuration is one queen and two single beds. Upstairs on first floor, view from lounge, air-conditioned; non kitchen, tea & coffee and toaster, small fridge. Shower / bathroom and separate toilet. Maximum of 4 guests including children. Two bed room; bedding configuration is one queen and two single beds. Upstairs on first floor, view from lounge, air-conditioned; non kitchen, tea & coffee and toaster, small fridge. Shower / bathroom and separate toilet. Maximum of 4 guests including children. 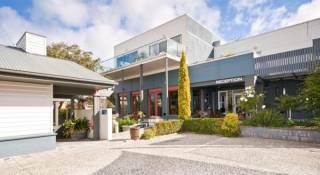 The Waterfront Motor Inn is located on the spectacular Great Ocean Road and surrounded by the magnificent Coastal Ranges of the Otway National Park. 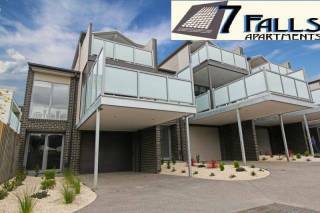 The 14 rooms are centrally located in the front row position opposite the Apollo Bay main beach with ocean views enjoyed from the top floor guest rooms. There are various room types available to suit different accommodation needs. The Deluxe Spa units all have individual balconies and corner spa bath, some with ocean views; the two bedroom apartments are self contained and ideal for families; the recently refurbished standard rooms offer value, style and comfort. 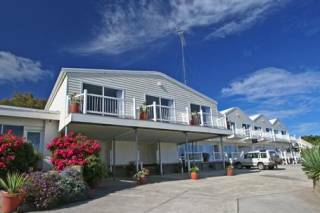 The Waterfront Motor Inn is within easy walking distance to Apollo Bay shops, café’s and restaurants. The Apollo Bay Golf Course and Harbour is a 20 minute stroll along the main beach or a short 5 minutes drive. 1. Age: You must be at least 18 years of age to make a booking of any accommodation displayed on our site. 2. Payment: You must make payment for accommodation booked on the site at the time of booking and you agree to make payment via a debit to your nominated credit card. The amount debited will (subject to the following) be the amount shown on our booking page prior to you clicking the "Pay Now" button on that page. Depending upon the currency of the booking, your credit card's currency and the country in which your card was issued, your credit card provider may impose foreign exchange fees and other fees which are in accordance with your arrangements with that credit card provider. 5. Liability: Without affecting any of your statutory rights that cannot be lawfully excluded, we will not be liable for any losses, damages, liability, claims or expenses (whatsoever and irrespective of whether direct, indirect, consequential) arising from the use of or connected with our site or any products or services purchased on our site. We make no warranty or representation as to the fitness or suitability of any product or service displayed on our site. Cancellation Policy: Cancellations or changes. Cancellations or changes to this booking will not be permitted for any reason. Once confirmed a booking cannot be refunded or altered in any way. We may use third-party service providers to process your personal information on our behalf for the purposes of this booking. For example, we may share some information about you with these third parties so that they can contact you directly by email (for example: to obtain post stay reviews about your travel experience).